The year was 1979. Björn Borg, the top-ranked men’s singles tennis player, was battling American Roscoe Tanner on Centre Court for a title he had won three times before at the All England Lawn Tennis and Croquet Club. In a radio commentary booth high up in one corner was a 17-year-old who had just lost in the second round of the women’s singles. But her coach suggested she stay back and watch the second week. As it turned out, Pamela Shriver landed a job as a commentator in the second week of the Championships with an American radio company called Golden Gaters Production. Shriver grabbed the opportunity, and it set her on the path of a successful career as a tennis commentator—it’s been three decades, and counting. Shriver didn’t do too badly as a player either; she won 21 singles and 111 women’s doubles titles and was ranked No.2 in doubles in 1986—her highest ranking. Different people have different experiences on their first visit to Wimbledon, depending on what they are there for. Players and officials speak of nervousness, intimidation, queasiness, frustration; commentators talk of awe, of sustaining two expensive weeks on meagre journalistic daily allowances; spectators describe the magical and the surreal. Most people going to the All England Club for the first time have their own reference points from television. The queues, rushing children, anxious parents and uniformed guards set you up for something special. You enter the gates, many miles away from home, and yet it feels like home, familiar. The bustle of the crowd is offset by the calm of the volunteers, the buzz of people’s voices complemented by the thwack of the tennis ball on the practice courts, landing oh so softly on manicured grass, still fresh and unblemished. Recognizable landmarks come into view. The Henman Hill, or whatever its name becomes with time, the side courts teeming with lesser players, the Pimm’s and strawberry stalls, the museum whispering its stories from another century. And the occasional sighting of a familiar player. Celebrities, movie stars, sporting giants shuffle around with other fans, looking for their match. Sumit Nagal, who won the junior doubles title with Vietnam’s Ly Hoang Nam there last year, was thrilled to watch Roger Federer play and equally excited to have David Beckham sitting “literally a few metres away". As a 15-year-old fan, player-turned- commentator Vijay Amritraj remembers skipping dinner so he could wake up early when he went to Wimbledon for the first time. He had goosebumps when he walked through Gate 5. John McEnroe, who went there as an 18-year-old qualifier in 1977, writes in his autobiography Serious that there’s nothing remotely like Court One in the world, and “until you actually stand on it, it’s impossible to imagine. The smell of the grass, the close up electricity of the crowd, and the look of the place: how much more intimate it is than TV can ever convey; how vivid the colours are in person…"
Leander Paes is even more lyrical, quoting from Rudyard Kipling’s poem If, words that play in his head every time he walks past the double doors to Centre Court—right from the time of his first visit. “If you can meet with triumph and disaster/and treat those two impostors just the same," he says. Paes went there for the first time in 1989 and won the junior title the following year. 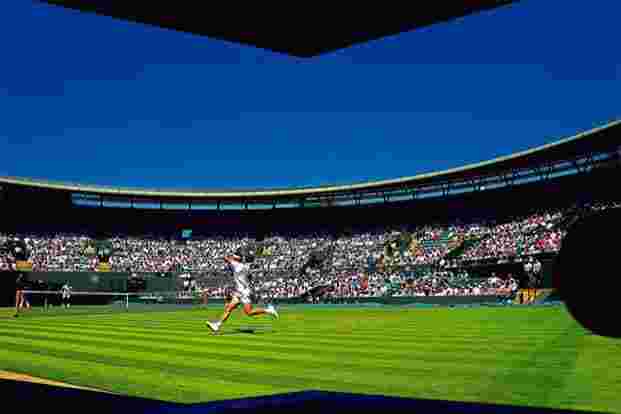 Beyond the obvious poetic charms of Wimbledon lie experiences that define people’s memories of their first visit. After the initial awe of being there come the surprises, the comical, the annoying, the joys and the errors. When Richard Krajicek first went to Wimbledon, in 1991, reality took a while to strike because it rained so much that year. “I had to wait for five days to play my first match. So much energy and all I could do the first four days was to sit and wait," he remembers. That year was more famous for Andre Agassi, who was playing Wimbledon after four years because he had not wanted to stick to their dress code. When Agassi finally removed his jumper ahead of his first match to reveal his all-whites, the roar from the crowd was the kind usually reserved for title wins. “I thought I had a good chance to beat Agassi," says Krajicek, who went on to win at Wimbledon in 1996. “I remember when we walked to the old No.1 Court and for about 50m, we walked through the crowd. Normally, only two security guards went with us during the first two matches, but now eight formed a circle around us to keep all the fans away from Agassi. “I thought it was a bit too much, but when we walked out, it was like Agassi was a rock star. People were screaming, pushing for a picture with him and/or an autograph. Without the eight-men security, there was no way he would have been able to get to the court." Twenty-two years later, it was a match of another kind that Ben Rothenberg remembers. At Wimbledon for the first time, this freelance writer for The New York Times was covering the tournament at a time when a frosty relationship was cooling an English summer. It all began with an interview of Serena Williams that the Rolling Stone magazine had published in 2013, a few weeks before Wimbledon. In it, Williams was said to have made a subtle dig at Maria Sharapova’s relationship with fellow player Grigor Dimitrov. Sharapova didn’t take it kindly. So, in one of her pre-event interviews at Wimbledon, she suggested Williams should talk about her own relationship with her coach, Patrick Mouratoglou. According to the rumour mill, Williams had been in a relationship with Dimitrov prior to her relationship with Mouratoglou. “It was a sort of love triangle that played out early on that year at Wimbledon," says Rothenberg. Agassi, whose romantic dalliances too were well reported through his career, spent the latter part of his playing days battling injuries, often attended to on court by physiotherapist Bill Norris. The American physiotherapist made more than 25 trips, dating back to his first in 1974, to Wimbledon. The rules were a bit archaic back then. “Non-club employees were not allowed to work in the club locker room the year when I started covering," says Norris, whose book with Richard Evans, Pain, Set And Match, was published in 2014. There was a house across the street from the club where players were taken in case of injuries, and where Norris was available. The Americans, the original bad boys of tennis included, have always found the stiff British obsession with tradition suffocating. In his autobiography, McEnroe, while appreciative in parts, also cuts the mecca of tennis down to size. “Now that I had made it through the merciless gauntlet of seven rounds, the Wimbledon powers-that-be, always condescending to anyone they felt was unimportant (which meant nearly everybody), had finally seen fit to sit up and take notice of John Patrick McEnroe, Jr, of Douglaston, Queens…. “When I saw those dozing linesmen, I thought, ‘This isn’t what Wimbledon should look like.’ The club and the tournament were beautiful, but the whole atmosphere was totally set in its ways and self-important beyond belief...."
That other bad boy, Jimmy Connors, had to deal with a backlash against his mother, who shouted encouragement midway through a match on his first visit, in 1972. “Overnight, she became the loud-mouthed American woman who didn’t understand, or didn’t care, about the sacred traditions of the All England Club," Connors writes in The Outsider: My Autobiography. “We found the whole thing pretty funny, especially when a tabloid cartoon showed me holding hands with a giant gorilla as I walked on to Centre Court and stood looking up at the referee. The caption read, ‘Sorry everyone, Mom couldn’t make it today.’"
If the rules were “archaic" in the 1970s, they have not changed much; many say this is part of Wimbledon’s charm. A stickler for tradition, fastidious to a fault about procedures. Several players have found themselves at the receiving end of a strict disciplinarian. The same goes for officials too, as Saikat Roy found out in 2011. Roy, a linesman, was put in a group and given a schedule, with instructions that he had to be present 10 minutes before his reporting time. So when the official from Kolkata showed up for his next assignment 5 minutes before time, he didn’t think much about it. To his horror, he found seven-eight people waiting for him. Just him. Is something wrong? he asked his supervisor. You are late, she said. But it’s only 5 minutes, he countered. Upon which he was given the spiel that everyone was expected to arrive for the designated job 7-10 minutes early. The next year, Roy got into the main draw, his first assignment on Court No.16. He had been given three shirts, trousers, a blazer, a half-sleeved sweater, a full-sleeved sweater and a tie. Unused to wearing a tie, he spent some uncomfortable moments on court, but he was always there ahead of time. But what was more worrying for Somnath Manna, another official, was the shake. Before his first match in 2011, a match featuring Alexandr Dolgopolov, Manna’s hands started shaking with nervousness as he stepped on to the court. This was problematic because as a linesman he had to, well, use his hands. It took two-three calls before he got habituated. Cliff Drysdale, who was part of the commentary team when ESPN made its Wimbledon debut in 2003, witnessed a change of guard there. Roger Federer won his first of five successive singles crowns that year. “I did not realize it at the time, but my first Wimbledon broadcast for ESPN was also the transition era in men’s tennis. The (Pete) Sampras, Agassi, (Jim) Courier era had given way and opened the door for (Lleyton) Hewitt and (Andy) Roddick," recalls Drysdale, over the phone from Miami, Florida. 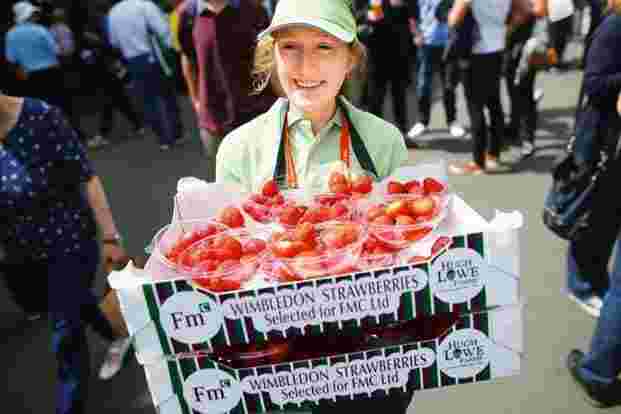 Though it was perhaps only to be expected, given how big a tourist attraction Wimbledon is, everyone—particularly commentators and journalists— remembers how frightfully expensive everything was. “I would have a small yogurt with a sort of granola-bar type snack," says Rothenberg. “I remember being hungry a lot at my first Wimbledon." On the morning of Paes’ first Wimbledon final, which he won as a junior in 1990, his coach Dave O’Meara asked him to get to the courts at 7.30am for a 2pm match with £2 (about ₹ 200 now). When he got there, he was made to buy the brochure for the day. “It was the 14th day, Sunday. He said I need you to flip through every page and look for a runner-up’s name in the brochure. There were no names, which was a lesson for me that only winners matter." Paes may have been to Wimbledon many times since, but there are others whose dream was fulfilled only after they stopped playing. Vishaal Uppal, a quintessential serve-and-volleyer in his playing days, stepped on the courts for the first time in 2014. The captain of the Indian junior Davis Cup team got to play on the courts with Tim Henman as part of the Road to Wimbledon campaign, a selection event in which schoolchildren can participate; the winner gets to play in the National Finals at Wimbledon. Dan Bloxham, head coach of the All England Club, took him around. “I saw places spectators cannot see. From the locker room to Court 1 or Centre Court, there are five doors. The protocol is that each participant has to hold one door for another. I was unlucky not to play on the court, that’s a dream unfulfilled for me. When I played on those courts, there was not one bad bounce," says Uppal. But for all the good memories, there are some bad memories and there are some, well, no memories. “I don’t remember which court or even whom I played against," says Petra Kvitová, who won the title in 2011 and 2014.